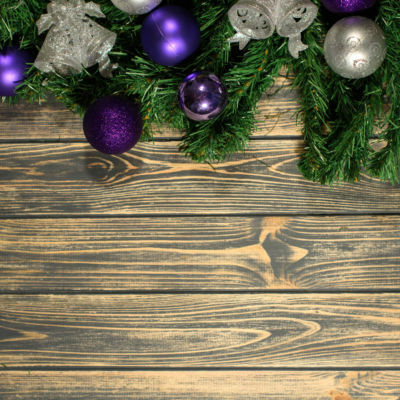 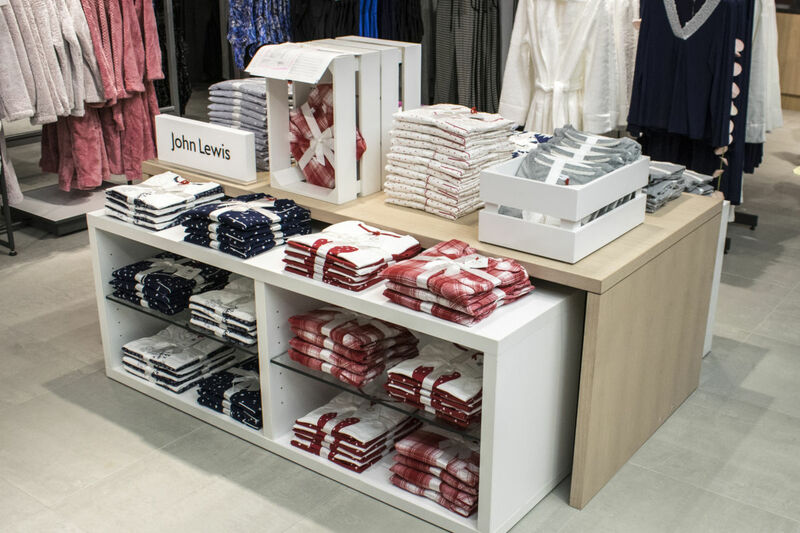 John Lewis began trading in 1864 on London’s Oxford Street, and is a leading omni-channel retailer in the UK with 49 John Lewis shops (35 department stores and 12 John Lewis at home stores). 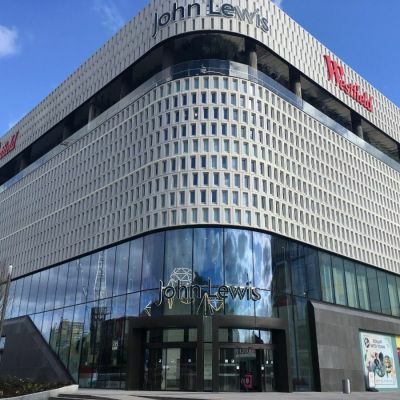 There are 84,000 Partners who own the joint business – John Lewis and Waitrose The profits and benefits created by their success are shared by all of their Partners. 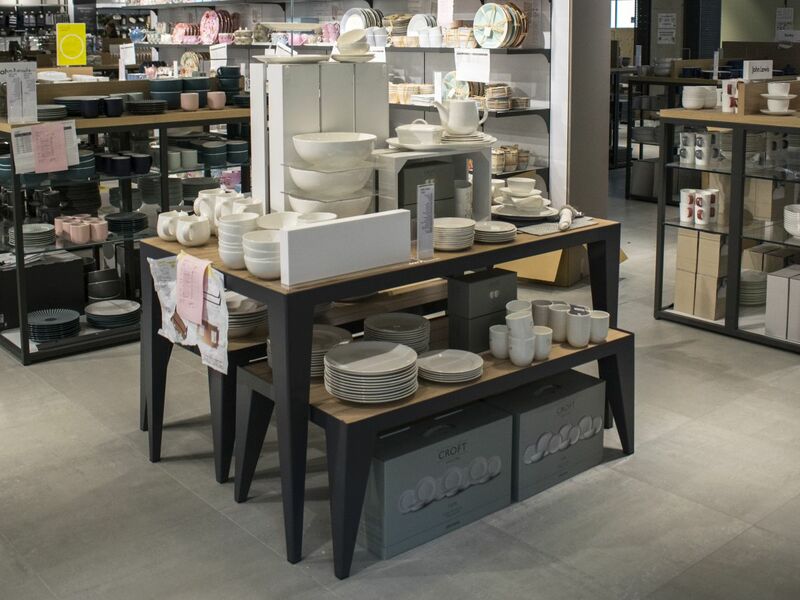 Written in 1925 the words, “Never Knowingly Undersold” has been the ethos of the partnership ever since, offering high quality service and value throughout all their departments. 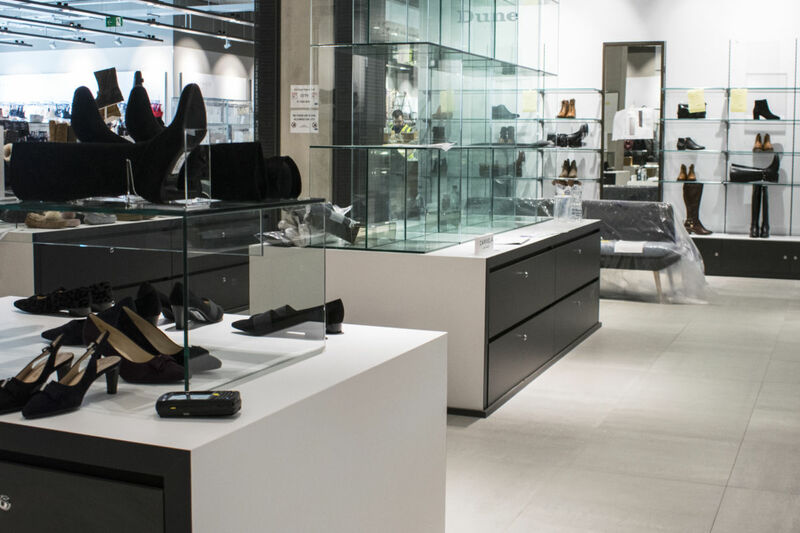 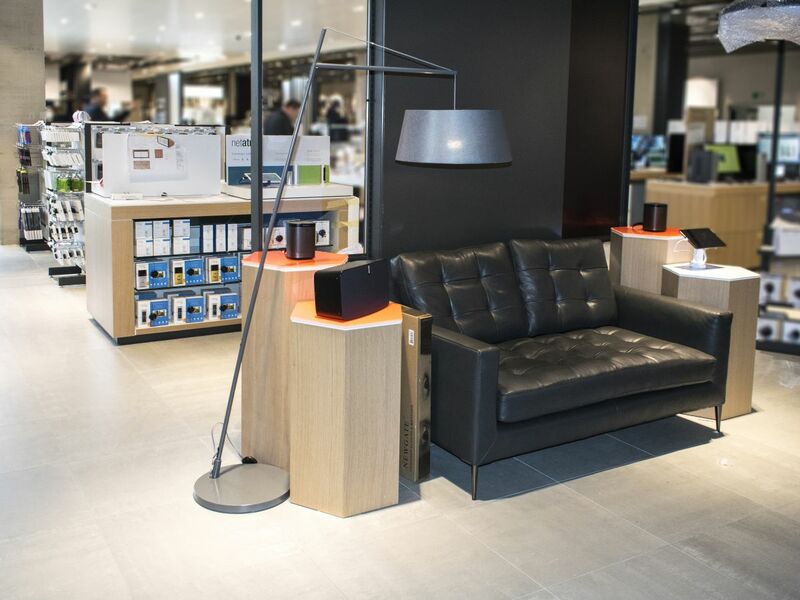 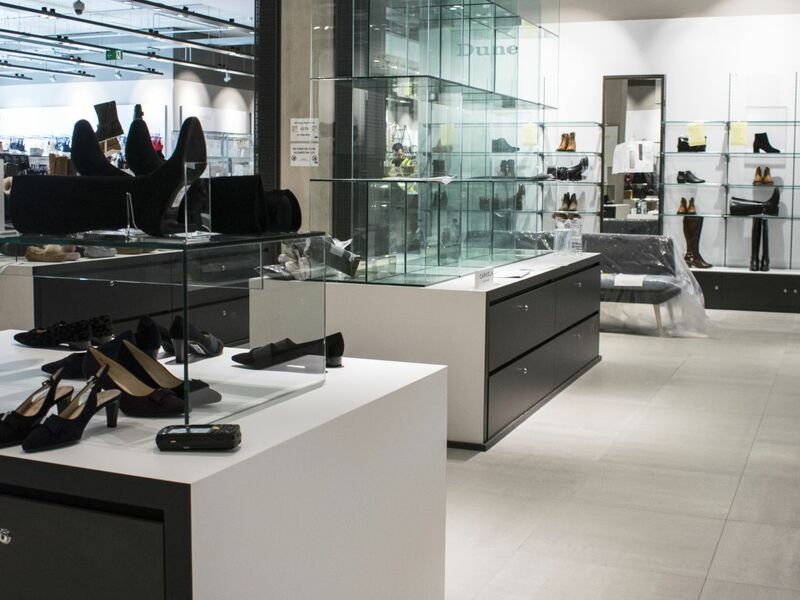 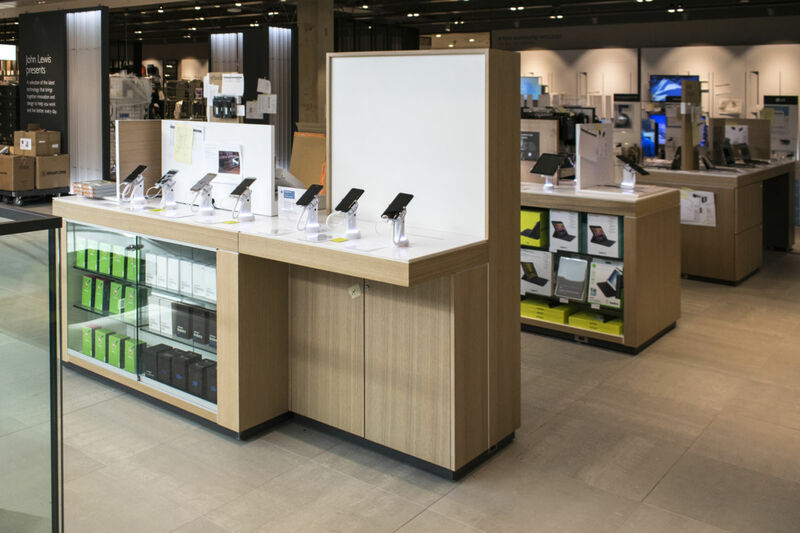 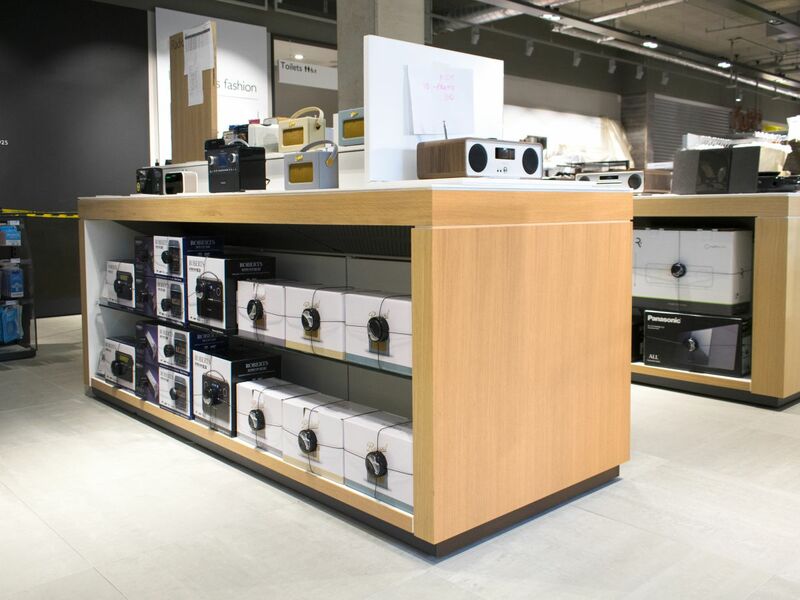 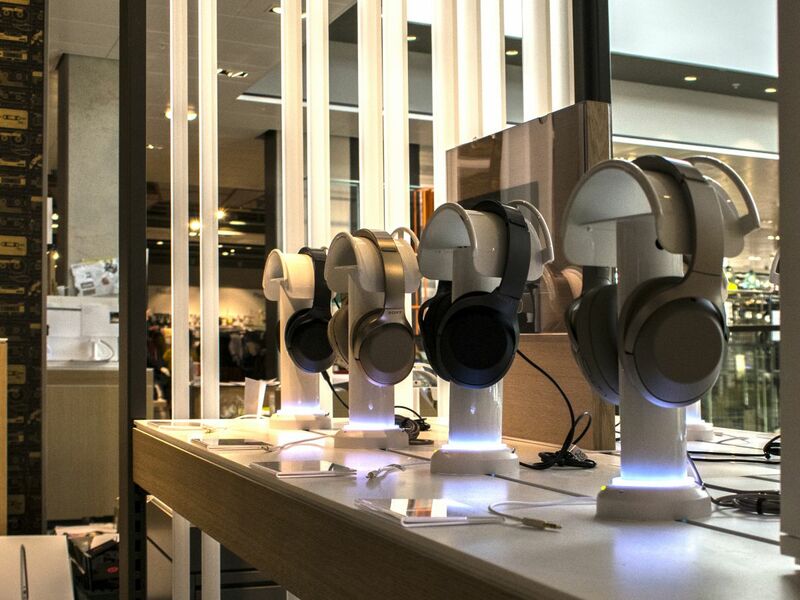 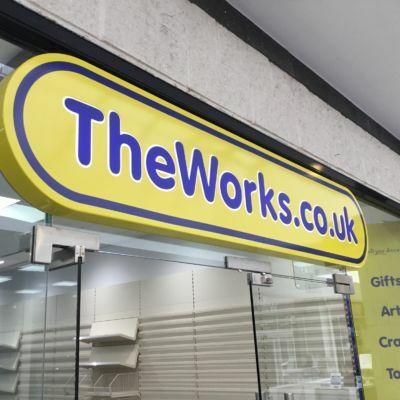 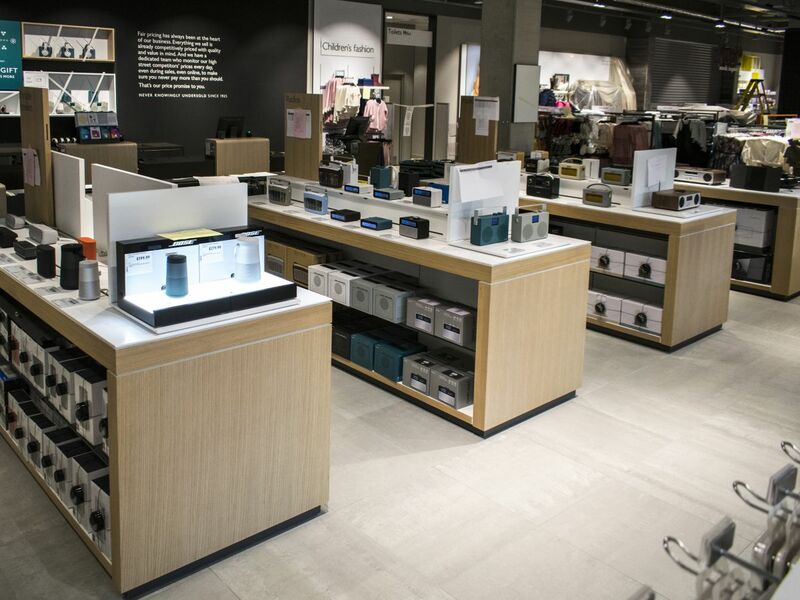 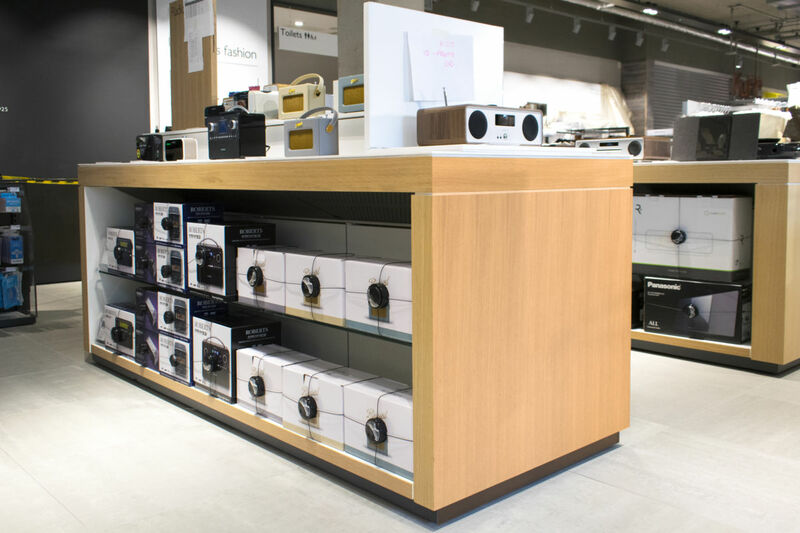 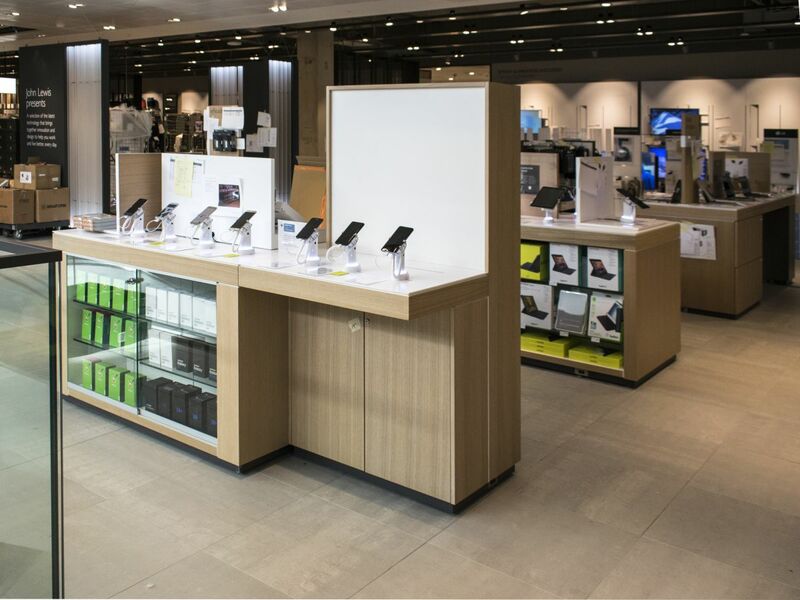 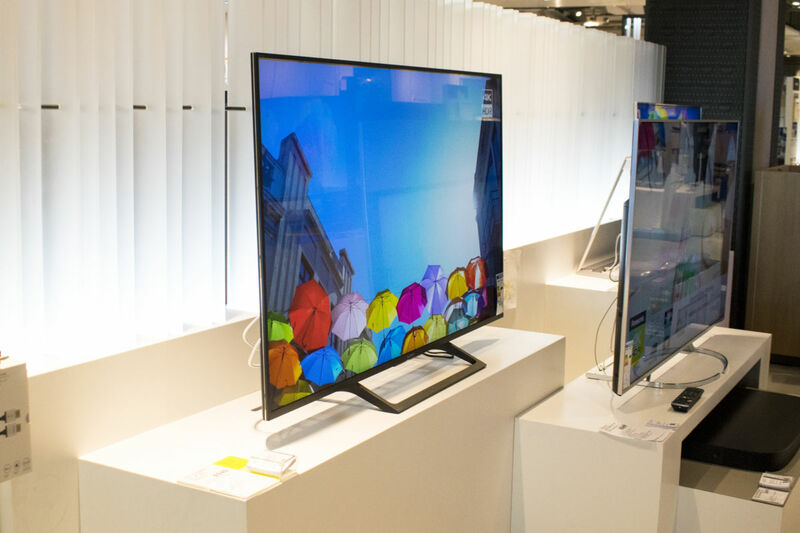 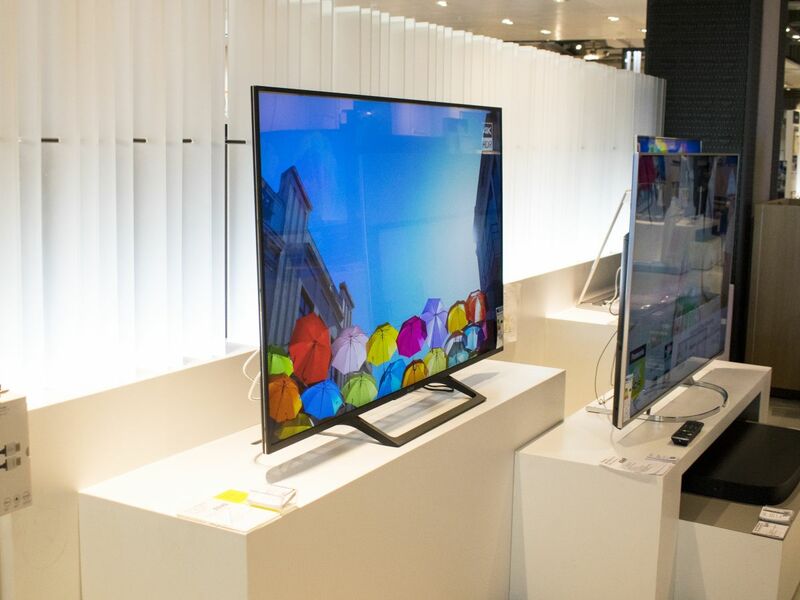 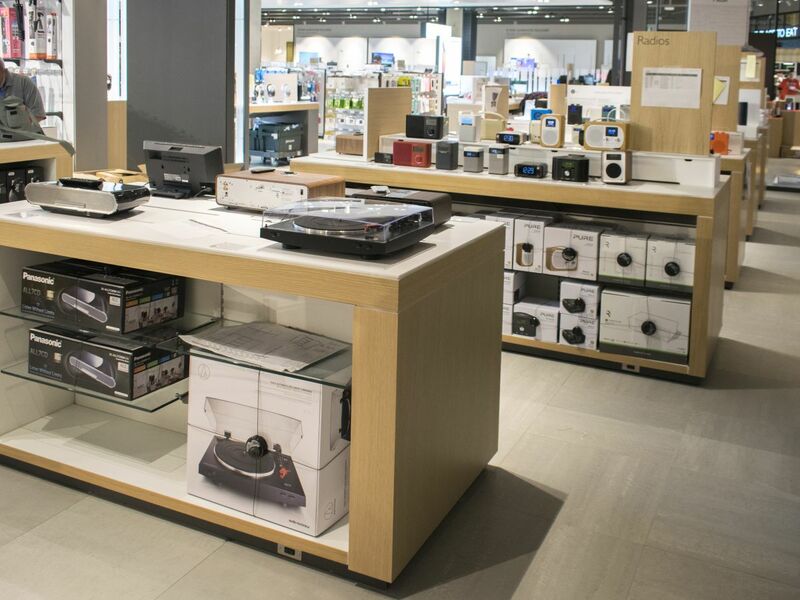 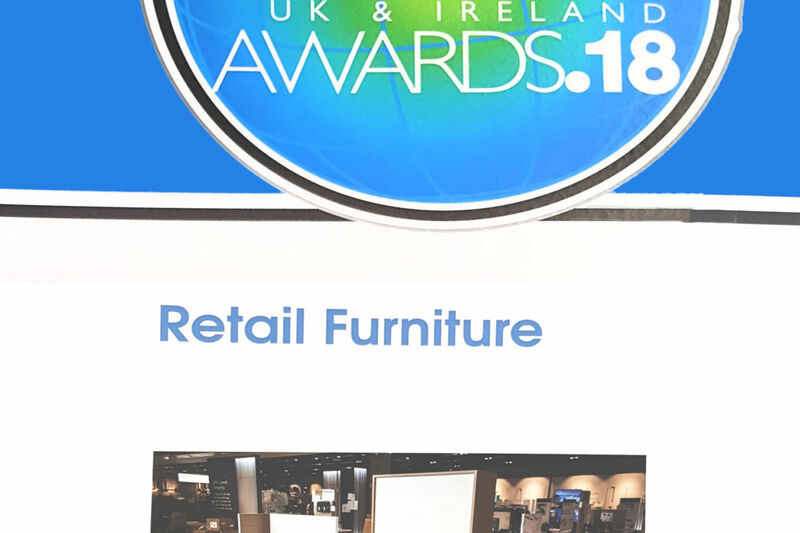 Having won the competitive tender to supply the display items for the Consumer Electronics Department and Category 4 items throughout the store, which included the shoe department, Aspen Concepts were tasked with turning the detailed design and specification drawings of the display furniture items, supplied by John Lewis, into accurate pieces of display furniture. 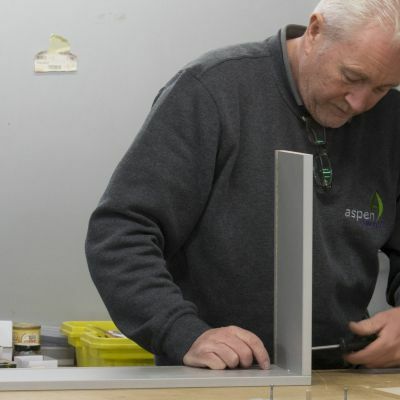 A manufacturing schedule was required for such a large volume of items, especially with so many items requiring specialist pieces for their construction. 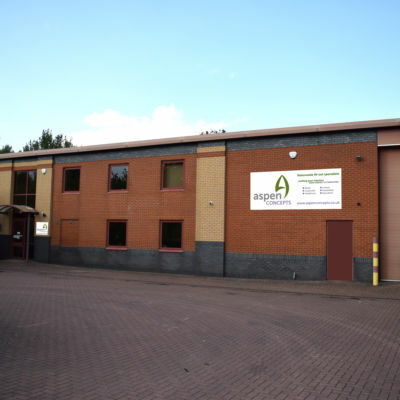 Over a two month period all of the items were manufactured and assembled, but the large volume of so many pieces meant that Aspen had to call upon its large warehouse storage facility in Swindon to hold most of the pieces until delivery could be undertaken. 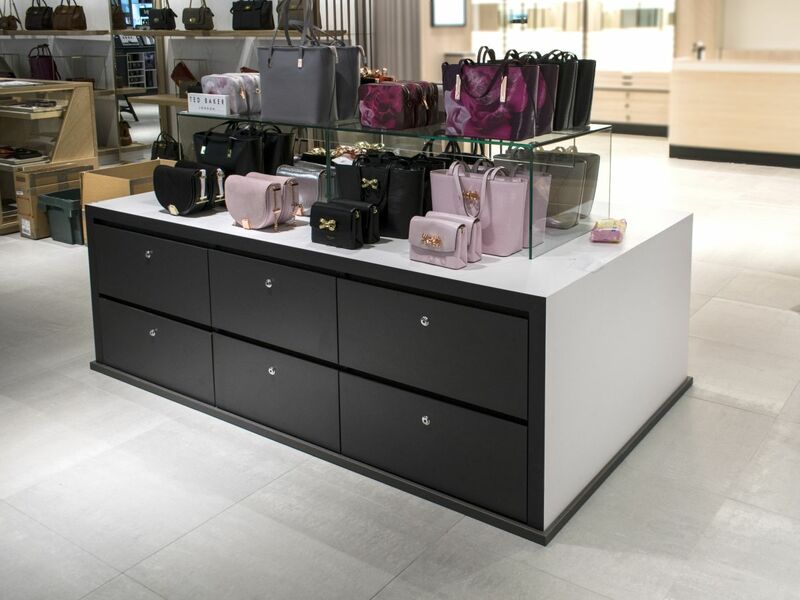 Some of the items included glass structures, shelves or doors, solid surface worktops, electrical wiring for power and lighting, metal legs or fittings and multiple locks for security. 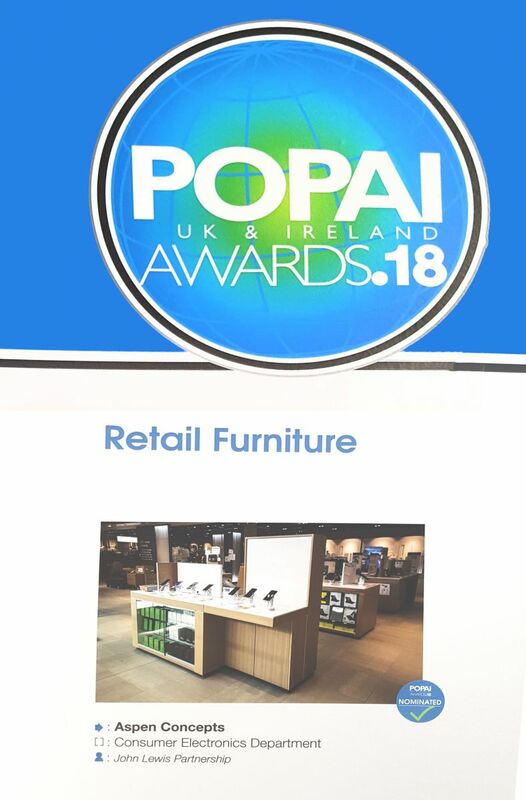 Aspen Concepts have just been nominated for a POPAI award for this project, click here to read about the POPAI Award. 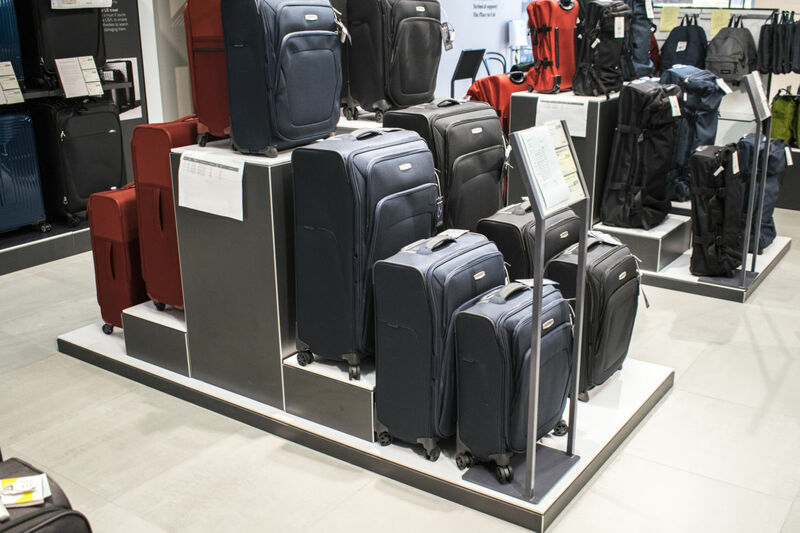 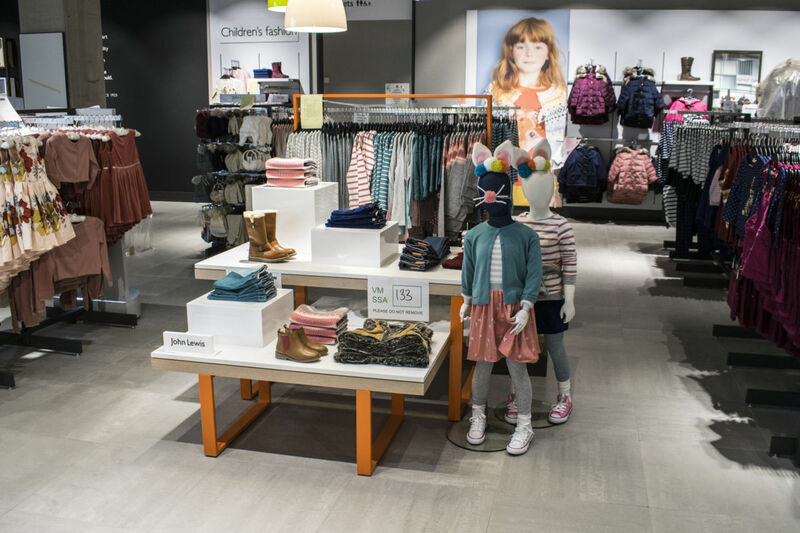 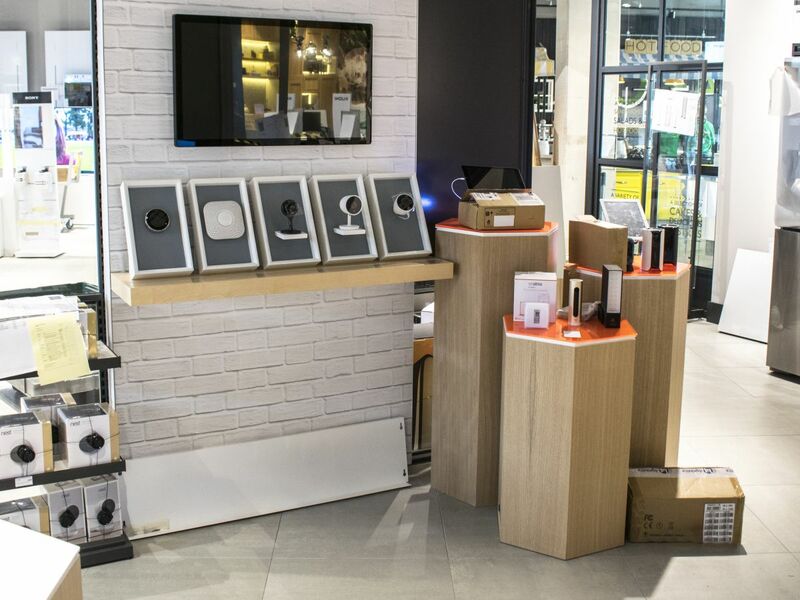 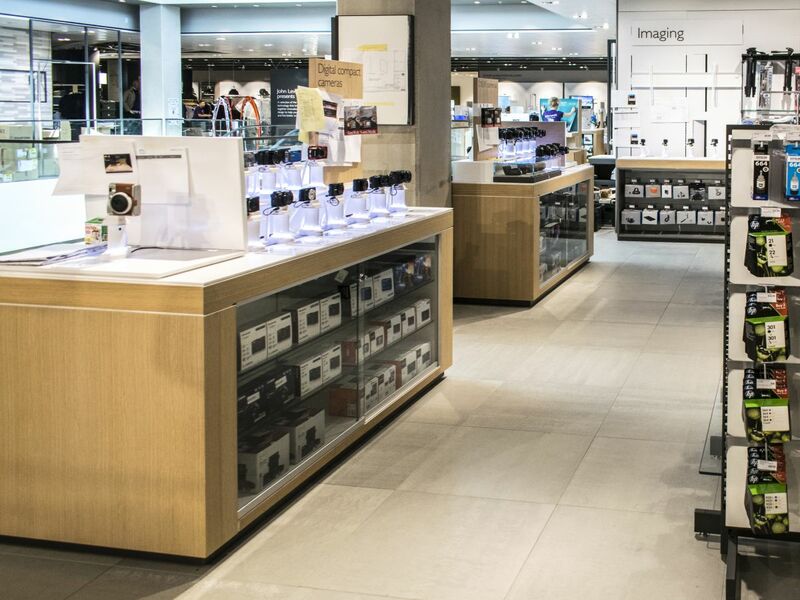 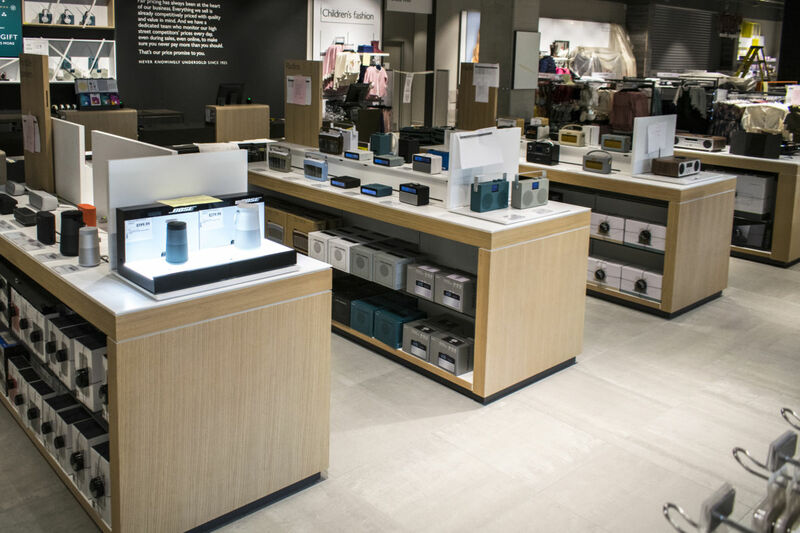 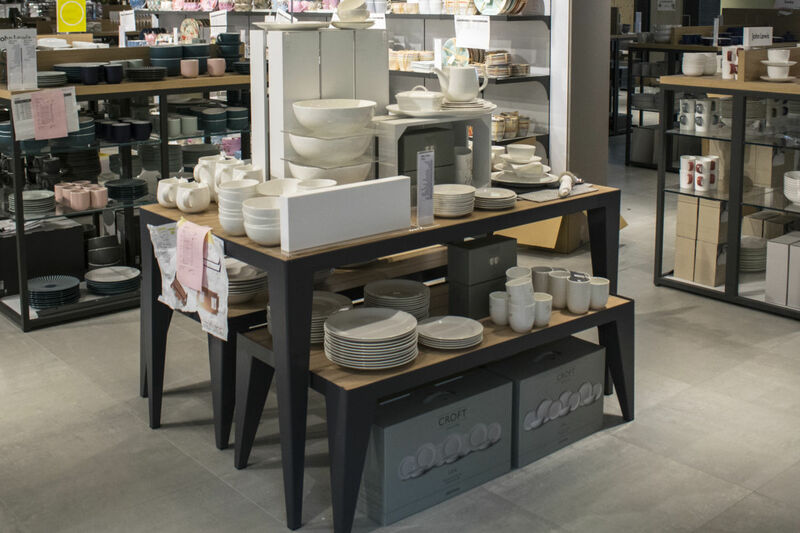 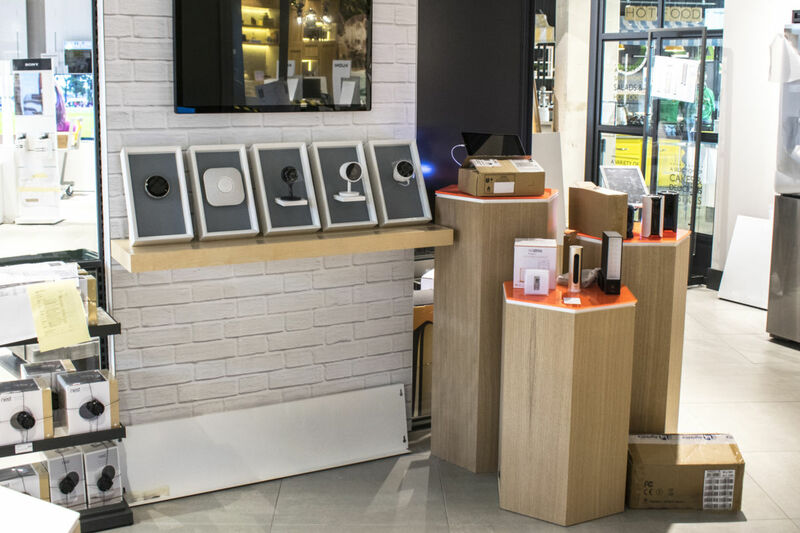 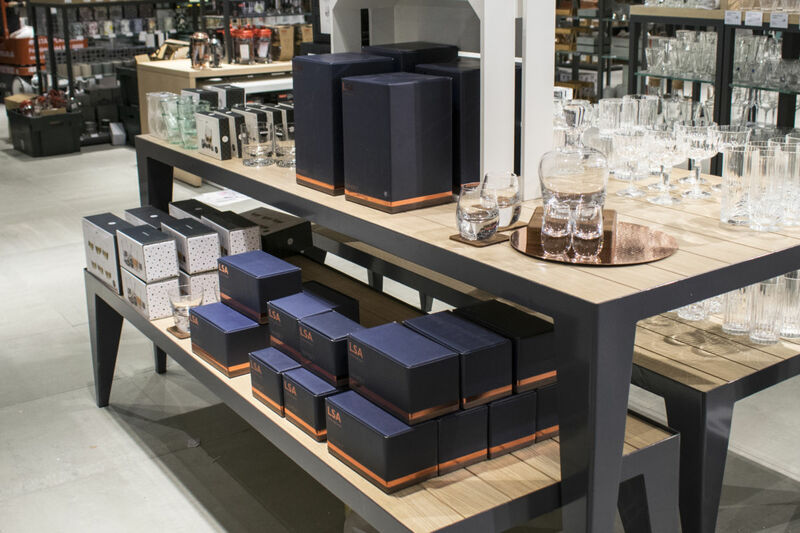 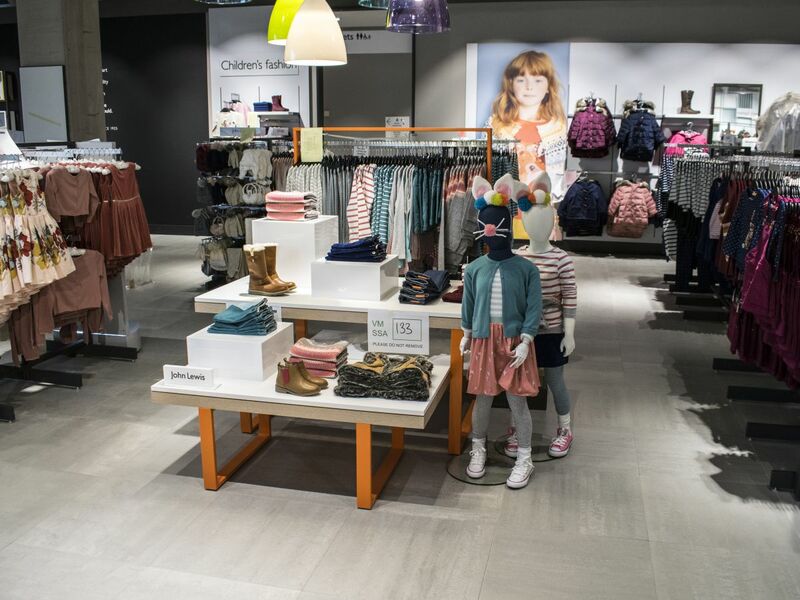 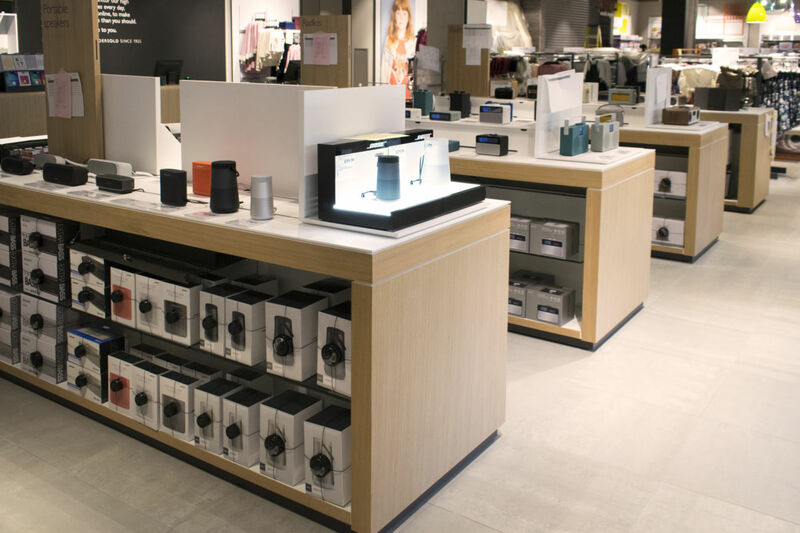 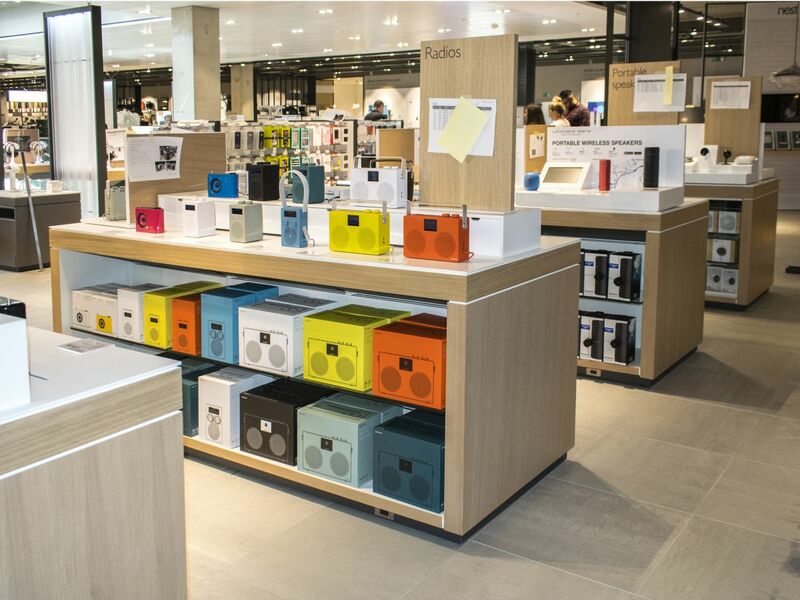 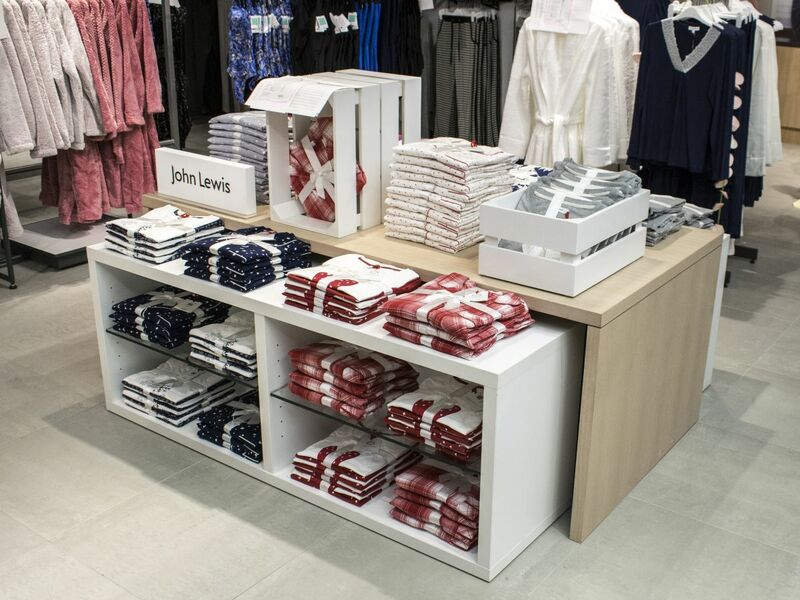 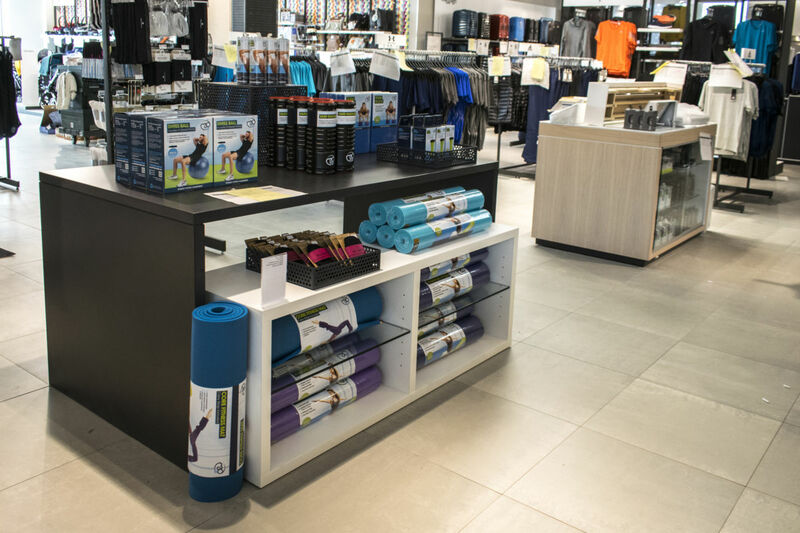 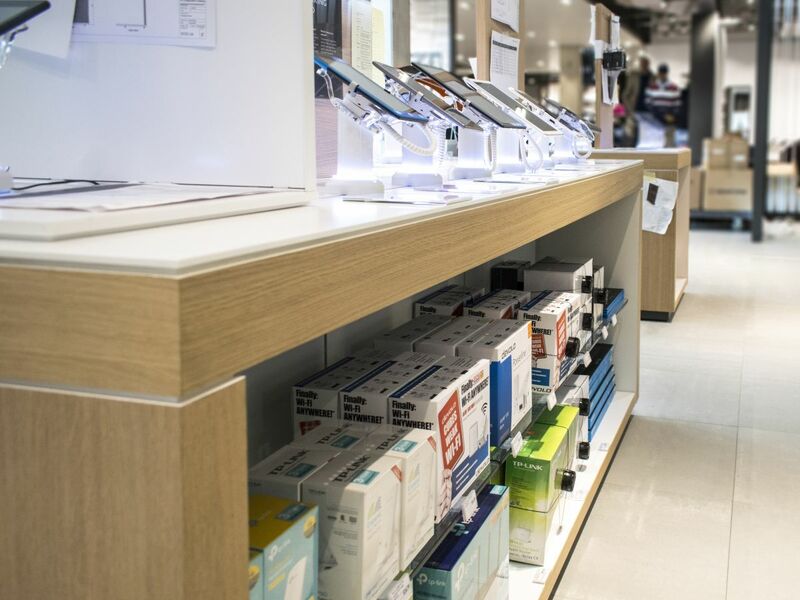 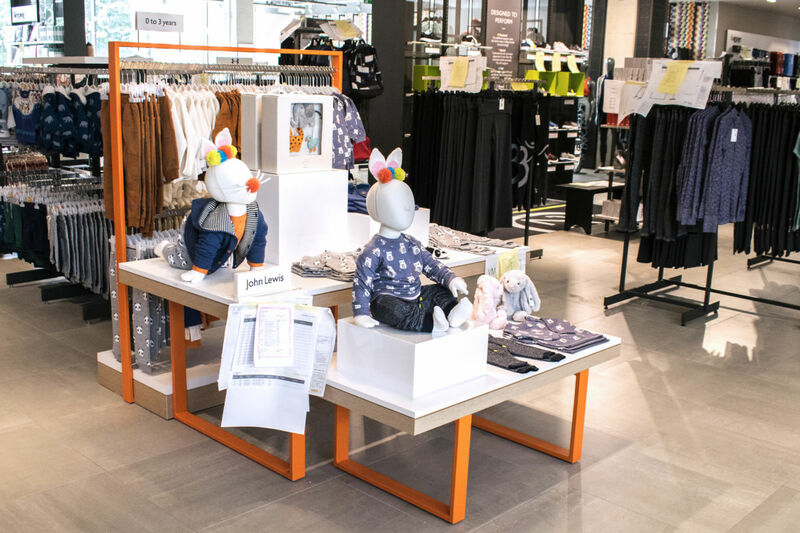 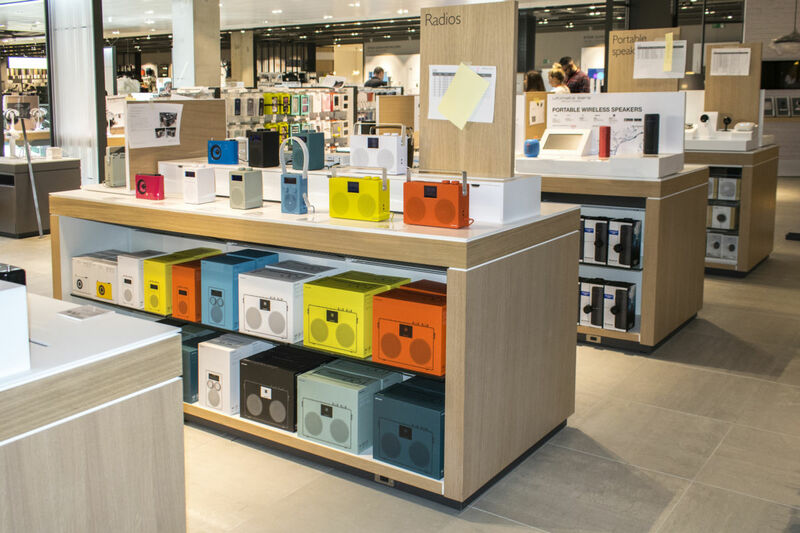 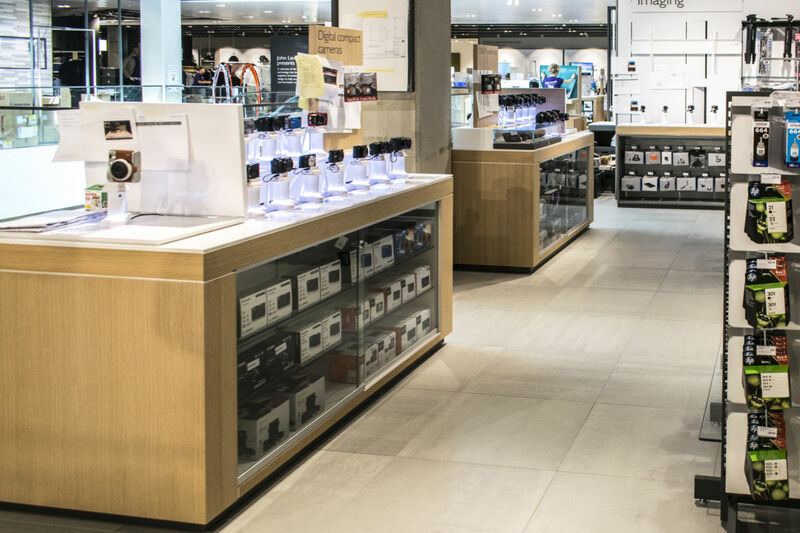 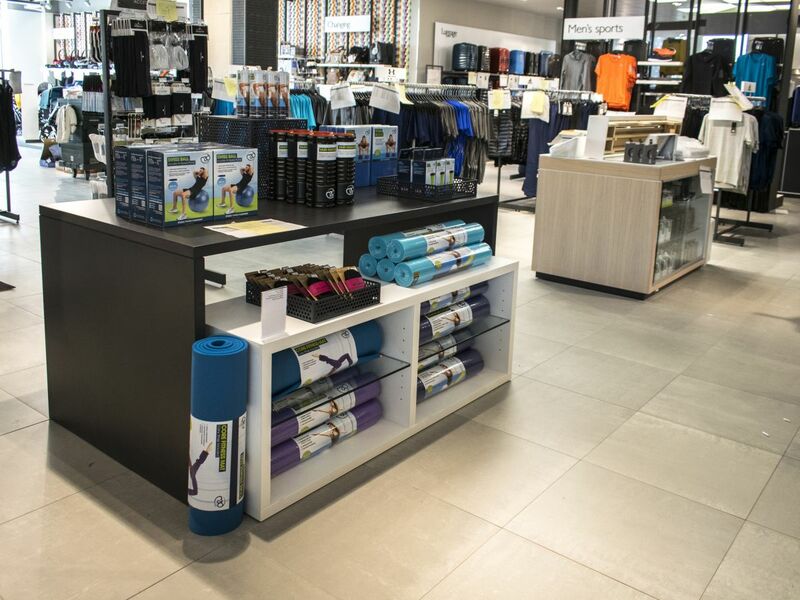 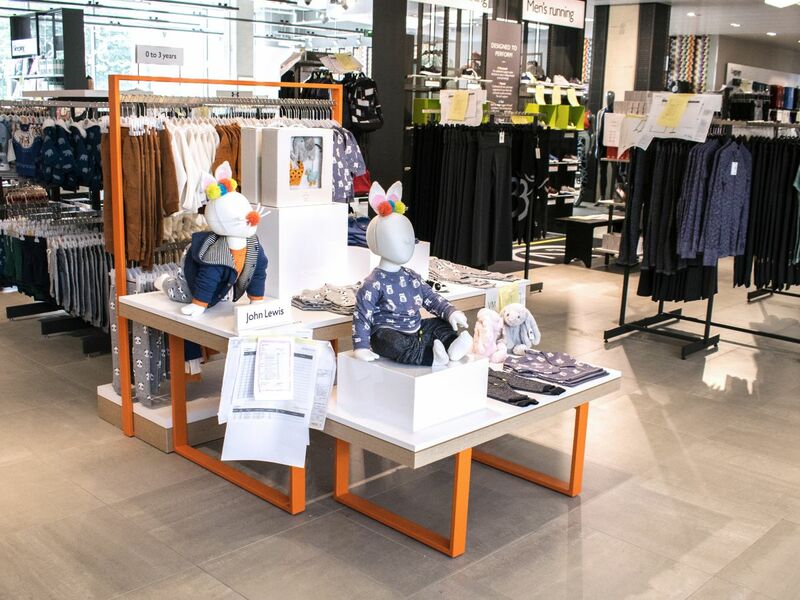 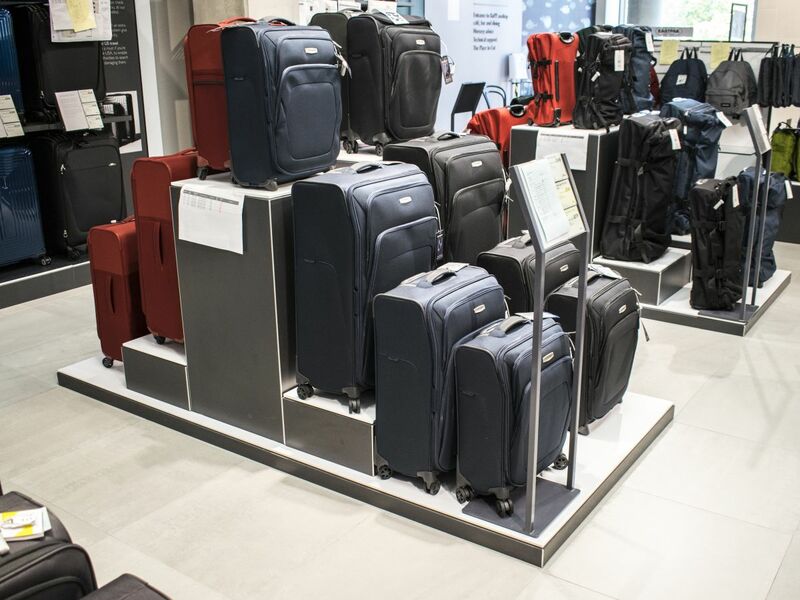 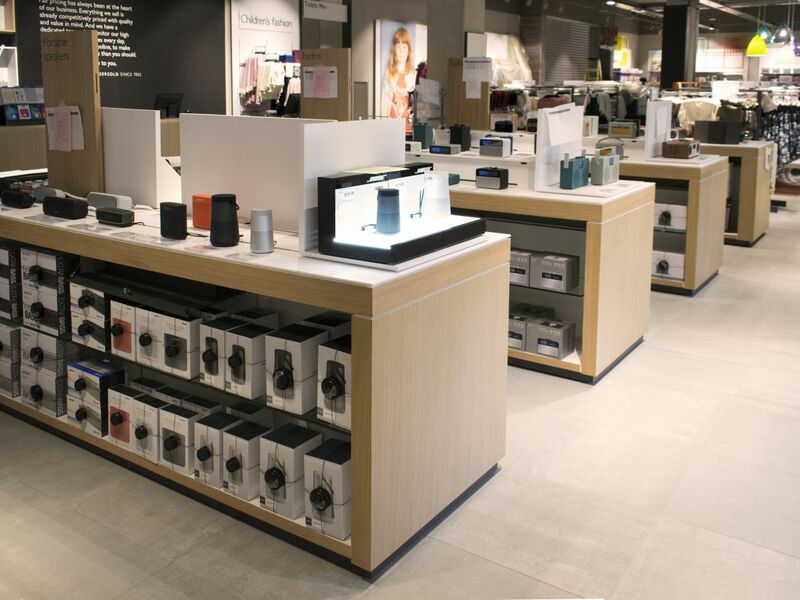 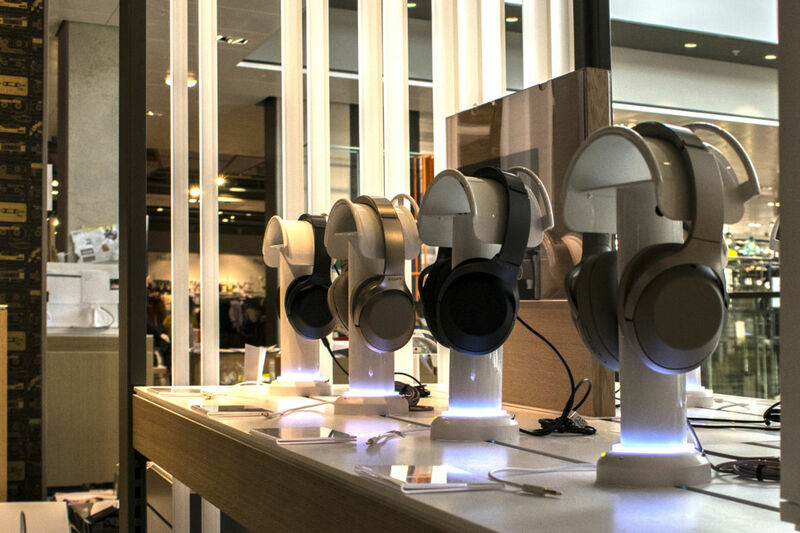 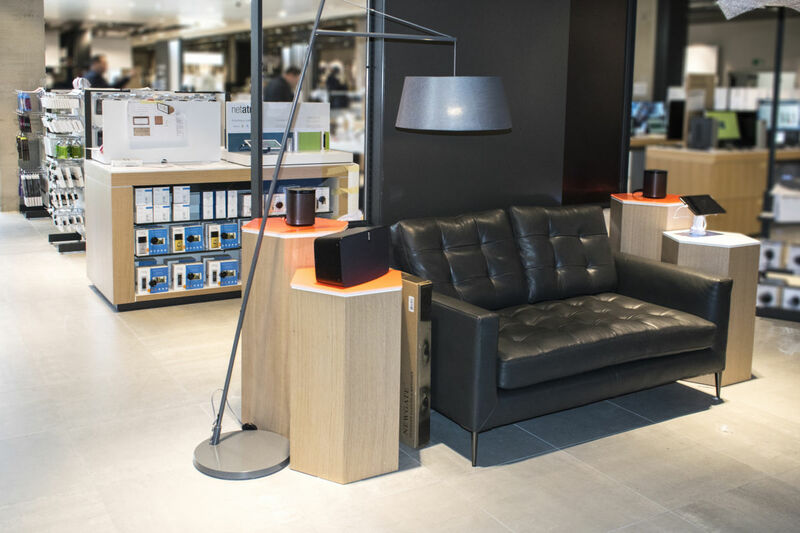 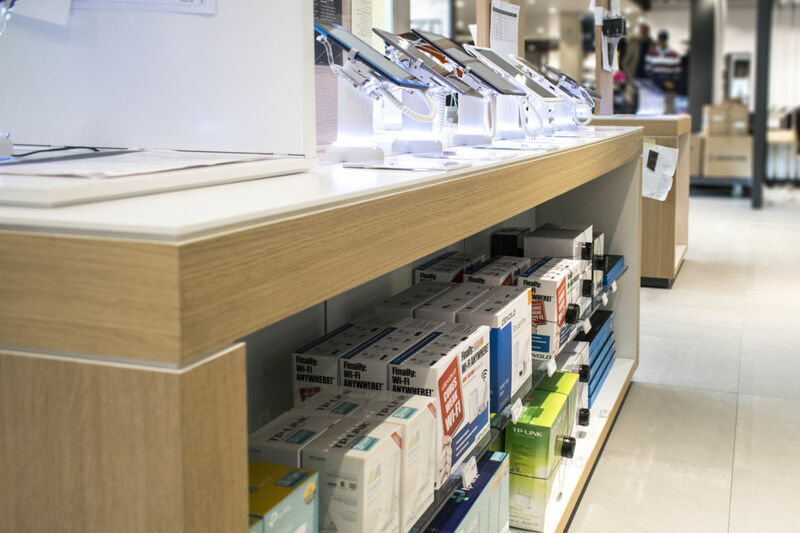 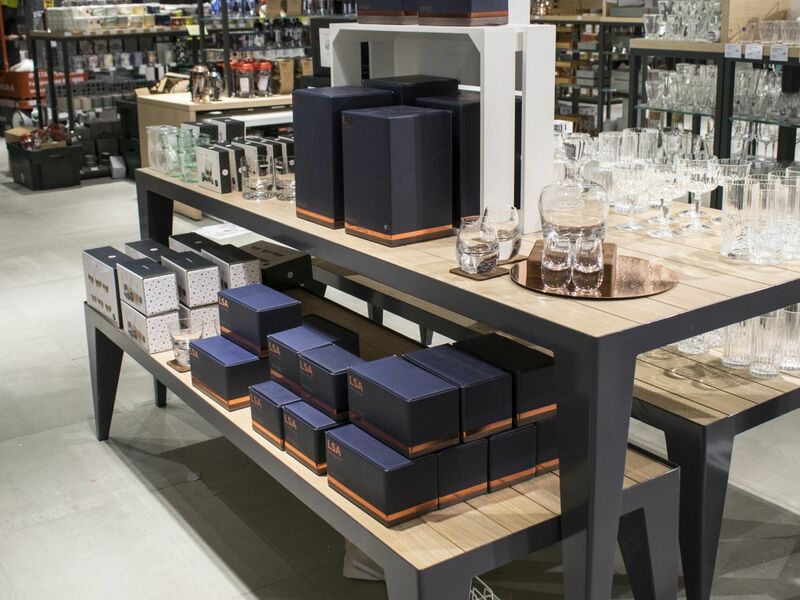 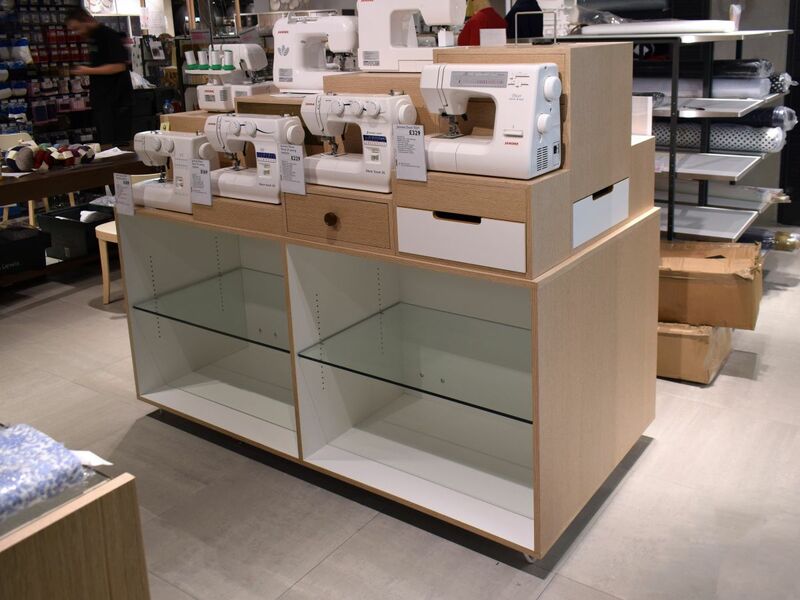 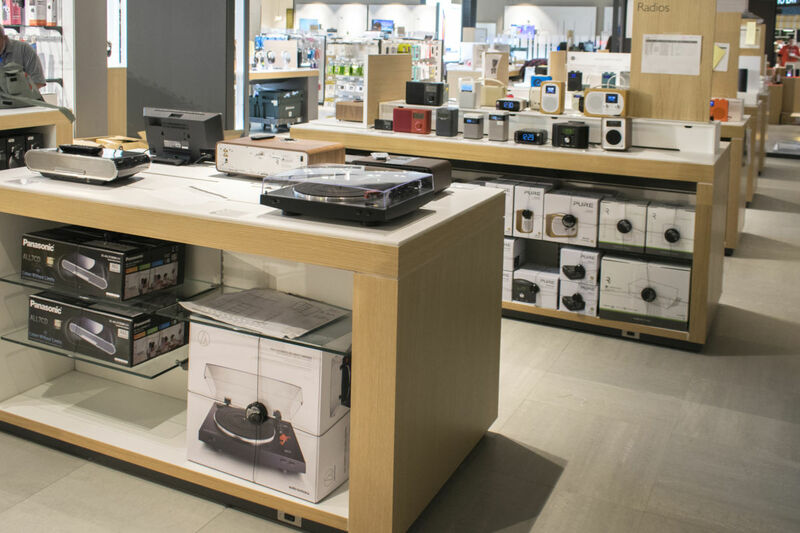 All of the items were delivered to the new John Lewis store in the Westgate Centre, Oxford in phases and placed in the correct locations within each department on-time and without damage. 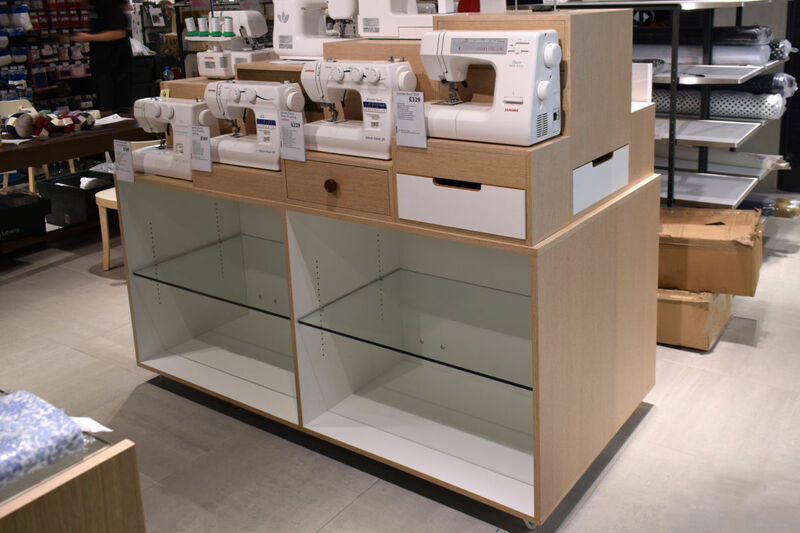 The project also required us to fit out and install items in the store’s Staff Technology Training Room. 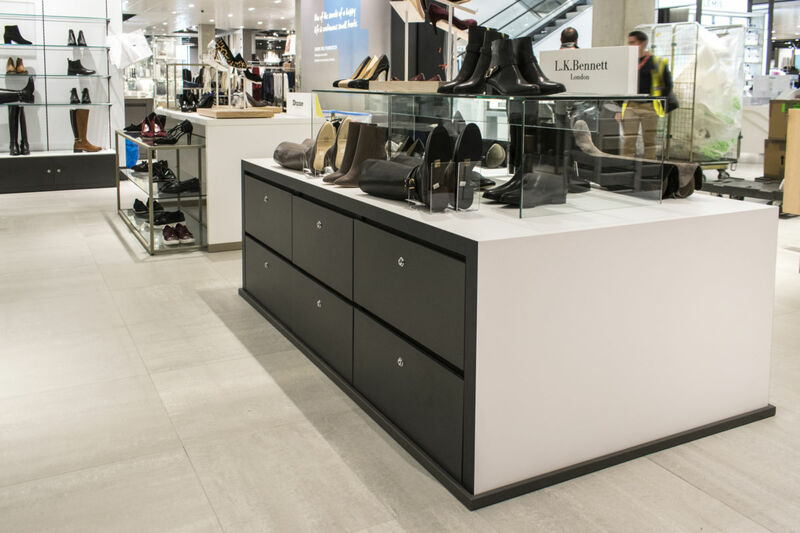 Aspen Concepts has gone on to also win the tender for these items and more for the newly constructed store at Westfield, London.